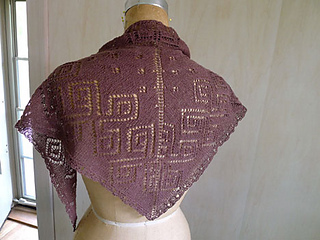 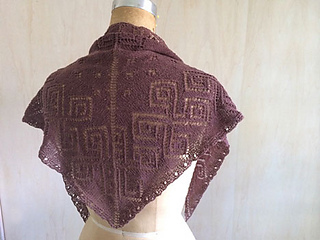 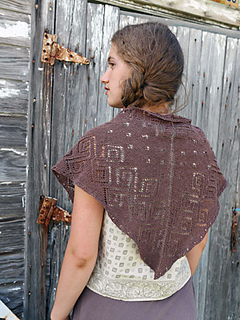 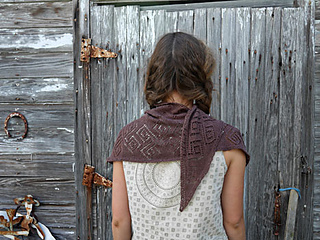 A fine gauge triangle shawl in two sizes (petite/tall), inspired by the motifs seen on printed bandanas. 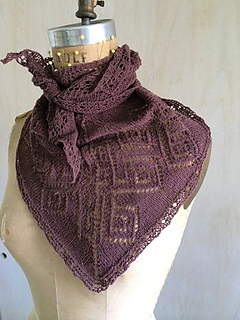 In fact, the smaller size may be put to use taming hair while boating, bike riding, or cruising with the top down. 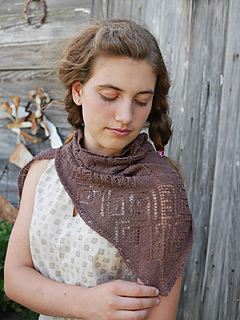 This easy-to-knit piece is comprised of simple eyelet motifs with wrong side rows entirely worked in purl—worked from neck to hem, it makes excellent knitting for spectator sports, the beach, or a first-time lace shawl project.